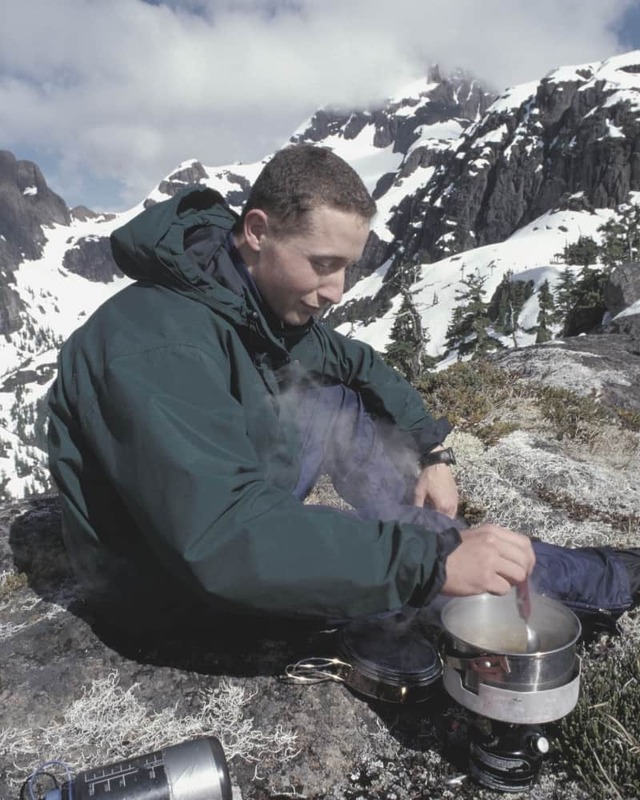 While cooking your trail food over fires might seem like a good idea to a Tenderfoot, they generally wreak havoc on the environment and are often prohibited in popular camping areas. The solution is a backpacker’s stove. For most backpacking units, the main decision will be between two stove categories: Liquid Fuel or Canister. Each has its particular advantages and disadvantages. Leaders should also consider cooking pot size and stove stability if the group is large and communal eating is the norm. Canister stoves are the easiest for young Scouts to use. They run on pre-filled and pressurized gas canisters (commonly isobutane). Scouts simply attach the stove to the threaded fuel canister, turn the gas knob and light it with a match. Some models even have an igniter button. The canister self-seals when the stove is detached, eliminating the possibility of fuel spills. Another important consideration when purchasing your stove is the camping mess kit you’ll need to help prepare your meals. To ensure a healthy supply of H20 along with your meals, you may want to consider taking along portable water filters and purifiers. One really big drawback for backpacking groups is that canisters de-pressurize in cold weather (below 32°F – which is typical for snow camping or late Fall trips to the high country) leading to weak or no flame. This means you can’t cook dinner when it gets really cold. (Manufacturers suggest that you sleep with the canisters in your sleeping bag to keep them warm.) Normal pressure resumes when the canister temperature rises above freezing temperatures. My biggest complaint is that the canisters cannot be recycled and you end up carrying a lot of empty canisters around looking for a place to toss them safely and legally. 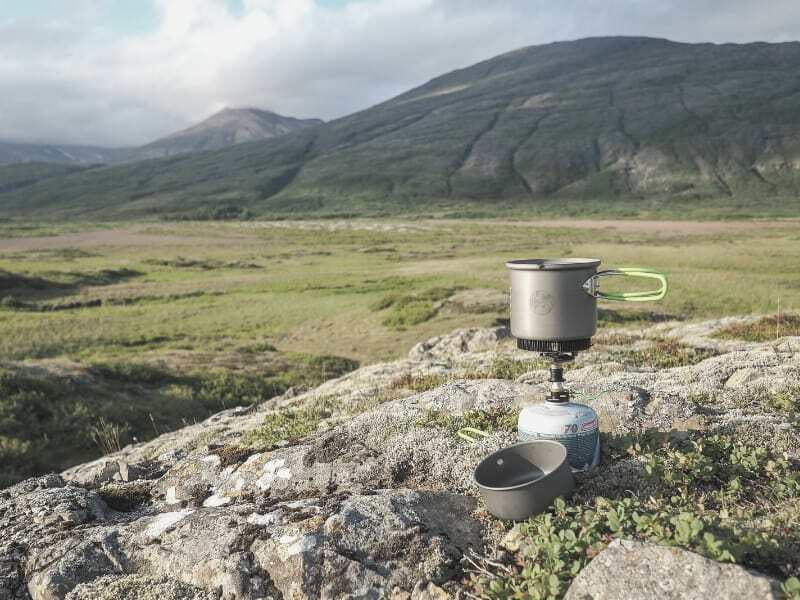 One reasonable option for a canister-stove shopper is an integrated stove system like the JetBoil, where the stove is paired with a cooking pot designed to work specifically with that stove (and only that stove). Compared to a traditional canister stove, the integrated stove boils water faster, saves fuel, and provides its own wind protection (which raises the heat and lowers the fuel consumption). And you get your own pot (big cup) into the bargain. Our Troop started using JetBoil stoves on backpacking trips with good results. The group carried three stoves and six canisters of fuel for 14 hikers on a one week hike. (There was a lot of fuel left over.) Boiling the water is easy and fast, but we were generally limited to the best freeze dried meals REI or Walmart has to offer.. However, no one complained and the food was always gone. The advantages of using Jet Boil stoves were: faster cooking, no problems lighting the stove, less overall weight because you carry less fuel, no testing the stove at our pack check, and no cleanup. Liquid fuel stoves are the most economical long-term choice. The most commonly run on white gas using a refillable red fuel bottle that is manually pressurized with a fuel pump. Most Scout units have these stoves and have used them for years because the fuel is inexpensive, the stoves are almost indestructible (if you maintain them), reusable fuel canisters come in different sizes, and there is no canister to discard. A liquid fuel stove usually works well, no matter how cold it gets. The only real downside is that liquid fuel stoves can be difficult to light, especially at night. These stoves need to be pumped and primed, a process that preheats the fuel line enabling the stove to convert the liquid fuel into a vapor for combustion. This priming inevitably leads to frequent small explosions and burning surfaces during the learning process, which can be intimidating to beginners, especially Scouts who accidentally set their arms on fire. Bring along a field maintenance kit if you’re going out for more than a couple days. Remember, white gas is more flammable than alcohol or a butane/propane mixture and therefore more dangerous. 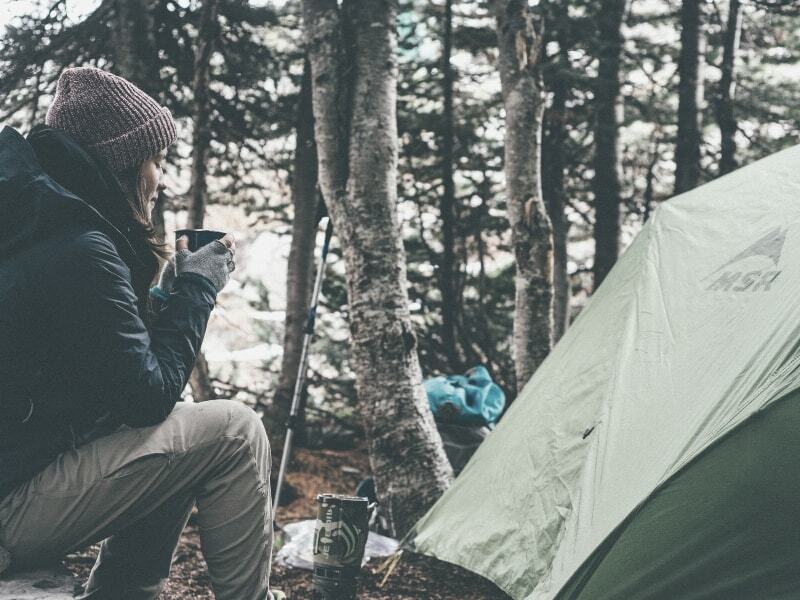 Keep stoves and fuel bottles out of the tent. There are lots of stories about leaking red canisters that allow gas to escape, pool in some low spot in the campsite (or tent) and then erupt into flames with a spark from the campfire or even static electricity from a sleeping bag. Once I saw a Scout walk past a campfire with an open red fuel canister in his hand. He managed to splash a little on the ground and on his leg, which burst into flames (the leg and the ground). Luckily, he remembered to stop, drop and roll so there was little damage except to his clothes. Still, it was a reminder for everyone to be careful. Trailspace.com tests integrated stoves and they think the Jetboil is pretty good. It comes in several sizes: Zip, Flash, Mini Mo, Joule, Sumo, and you can even get a coffee press for some models. Results of the testing and performance under different conditions are on the Trailspace.com site, but notice the article was published in 2007. These are liquid-fuel stoves that can accommodate various fuels including some or all of the following: white gas, unleaded auto gasoline, kerosene, jet fuel, and diesel. (Would you ever really take gasoline or jet fuel on an outing?) They are expensive and a small pain to switch over if you change fuels often, but they are commonly used by hikers going to countries where white gas is not readily available. These stoves have few or no moving parts to worry about, weigh very little and burn silently. Serious hikers make their own (or several of them) out of old soda or tuna cans (or similar) and throw them away after the season if they get crushed or destroyed. They are for experienced backpackers, not for people on their first trip into the woods and alcohol stoves are not suited for large groups. However, they are great for hikers that enjoy a quiet campsite and a slow pace to their backpacking adventures. Alcohol stoves do not burn as hot as other stoves so they take longer to boil water. Fuel can be purchased at most hardware stores. Carry it in a small plastic container and pour some into the stove/can when you are ready to light it. You have to let all the fuel burn out and there is no heat adjustment, so it takes some trial and error to get it right. But if you are not in a hurry, or if you have the required experience, then it’s not really much different than other liquid-fuel stoves. The Penny Ultralight Alcohol backpacking stove pictured above is a pretty good starting point. 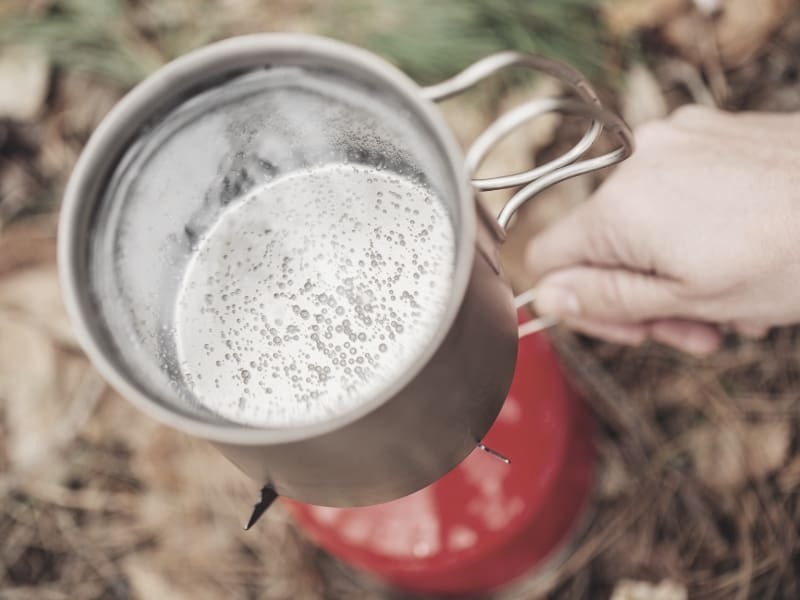 Hundreds of hikers have followed the instructions on their website to build their own stoves. Note that, since they burn silently, it’s easy to forget they are burning and it’s hard to see if it’s lit during the day because the flame is very faint. So be careful. Do not pick them up after lighting them or you might spray burning alcohol all over yourself. According to REI, once you’ve narrowed your search to a particular stove category, you can compare models using the following attributes. There are lots of websites that test stoves against these specs. • Burn time: This refers to how long a stove burns using a given amount of fuel. • Average boil time: This is the time required to bring 1 liter of 70°F water to a boil (based on an average of 3 timed boils). • Liters of water boiled (per 100g of fuel): This is the “miles per gallon” rating for fuel efficiency at full stove power. Note: When stoves are operated at less than full power, they are even more efficient. Esbit makes a 1-2 man alcohol stove/pot combo with integrated heat exchanger that is pretty efficient, very compact, very inexpensive fuel, has no moving parts, can simmer (as long as it isn’t too windy). I have used this on several trips and am considering recommending to my troop as an alternative to the jet boil which has many of the same features. It is slower than the jet boil by a long shot. From experience, this is as safe – if not more so, than the white gas stoves. I have deliberately turned the esbit over while lit, and the resulting burn is quite easy to put out. 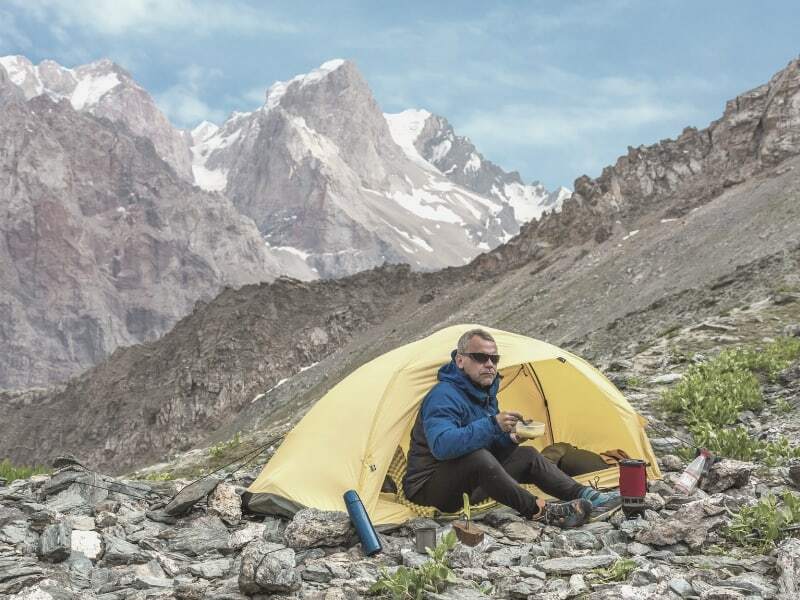 We also use MSR whisperlite and Primus Stoves depending on the trip, but I prefer the Esbit unless snow camping or boiling large quanitities of water. Since the troop provides stoves to boys who don’t have their own, the maintenance on the MSRs is pretty time consuming. The alcohol model is a bit hard to find as solid fuel model is more popular, but it is available on special order. Available on Amazon for less than $40.00. Scout leaders might want to run a test of their own. Not all liquid fuel stoves need to be primed. Many Coleman backpacking stoves merely need to be pumped. Add table salt to alcohol and it burns bright orange. Viola! Thanks for the correction John. I updated the page to say that “homemade” alcohol stoves are too dangerous for BSA. Presumably manufactured alcohol stoves are OK. Also, there was a lot of discussion online last year about various Parks and/or Rangers discouraging or prohibiting alcohol stoves because they deemed them more of a fire danger. When I called a Ranger in Sequoia National Park, he said they were discouraged but not prohibited. The reasoning is that some people pick up the stoves when they are burning (it is hard to tell in sunlight if the stove is lit!) and then drop the stove and alcohol into the grass. An experienced and careful backpacker would probably not be so careless. you make the statement on your camp stoves page that “NOTE: AS OF 2012, BSA HAS DECIDED THAT ALCOHOL STOVES ARE TOO DANGEROUS FOR SCOUTS TO USE.” This is incorrect and misleading. GTSS states that homemade stoves are not allowed. It also states that alcohol is “not recommended”. No where does it state that they are too dangerous or not allowed. We have discovered that with our Venturing Crew, with proper training and care that alcohol stoves are far safer and easier to use than esbit or white gas stove. There are many manufactured alcolhol stoves that are very efficient.